With all of the media’s attention on the shooting incident’s of San Bernardino, risk managers are starting to explore the best methods to deal with active shooters in their cities and on their school campuses. Unfortunately, today’s quick-to-market and tech savvy population, multiple methods popped up on the scene after Virginia Tech and Sandy Hook. Sorting through these methods and picking one to use can be confusing. But it doesn’t have to be because most are just imitations of the same concept – Run, Hide, Fight. Whether it is Run, Hide, Fight; Alice; or ADD the same principals apply. While all are good, some are more complex than others and when complexity enters mind under extreme stress bad things happen. That’s why Homeland Security, the FBI and even Wilmes, LLC recommends keeping it simple which is Run, Hide, Fight. Below are videos on each of the methods so you can get a taste of what each looks like and also take away that they are all the same principle. 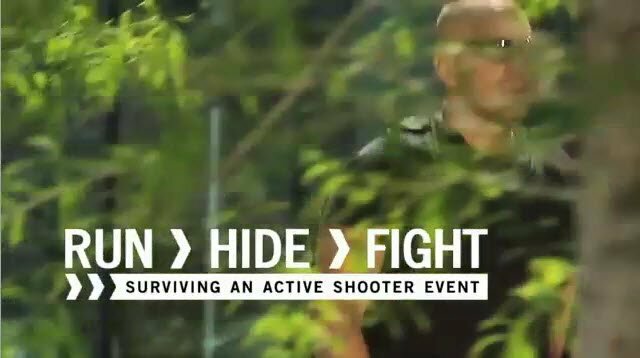 Don’t forget to checkout FEMA’s free training on active shooters. Next There’s no such thing as a drill — how to maximize your emergency training.